There's definitely a song in the line of these geese in flight. Very good well done Vivian! 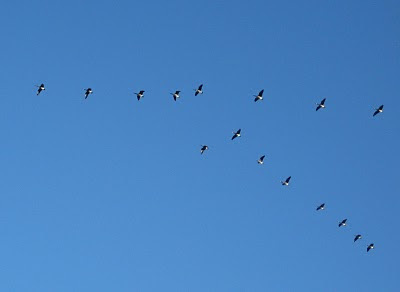 We are seeing all sizes of birds flying north right now. The Canada geese are the ones that put on a show along with their honking. Thanks, Adrian! Always good to hear from you. Nice, Larry....I love watching the birds in flight. And I love hearing the honking of the geese over head....you hear them in the distance and you know they are coming. Nice interpretation. Most of the Canada geese around here are full time residents I think. 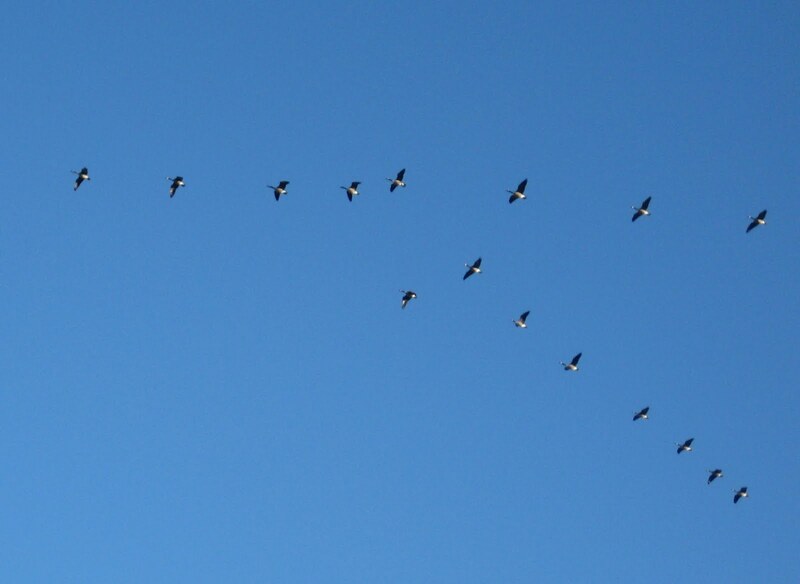 I don't see many of the high altitude V's but they do move from pond to pond in formation sometimes. I love to see them land in their formation, like a squadron of fighter jets.